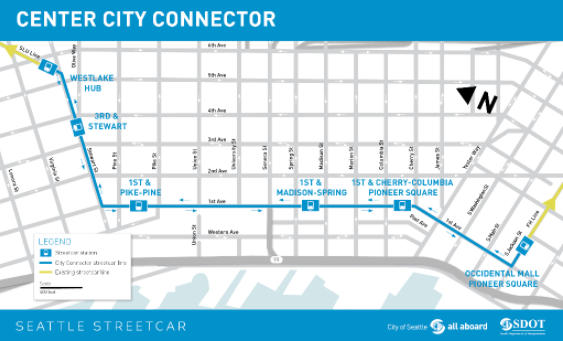 Beginning in early January 2017, SDOT will continue utility work primarily along Stewart St. Work at each location is expected to last a few hours. See schedule here. For the first time, employees in South Lake Union with 5 or more employees qualify for ORCA Business Passport! ORCA Passport provides employees with an unlimited transit pass covering all bus, rail, water-taxi, and Vanpool/Vanshare programs in King and surrounding counties and up to 8 free taxi rides home per year in the event of an emergency. Beginning November 7th, 2016, new speed limits will be going into effect for city streets. This is part of Seattle's Vision Zero plan to end traffic deaths and serious injuries in city streets by 2030. 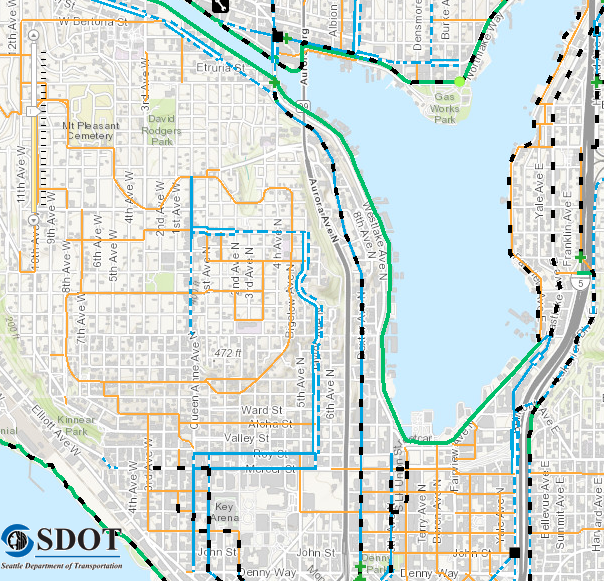 Speed limits for the streets in Seattle (indicated in blue in the map below) will be reduced to 25 mph. The non-arterial (a.k.a residential street) speed limit will be reduced from 25 mph to 20 mph. Sound Transit 3 - PASSED! Stay up to date with the latest ST3 news. 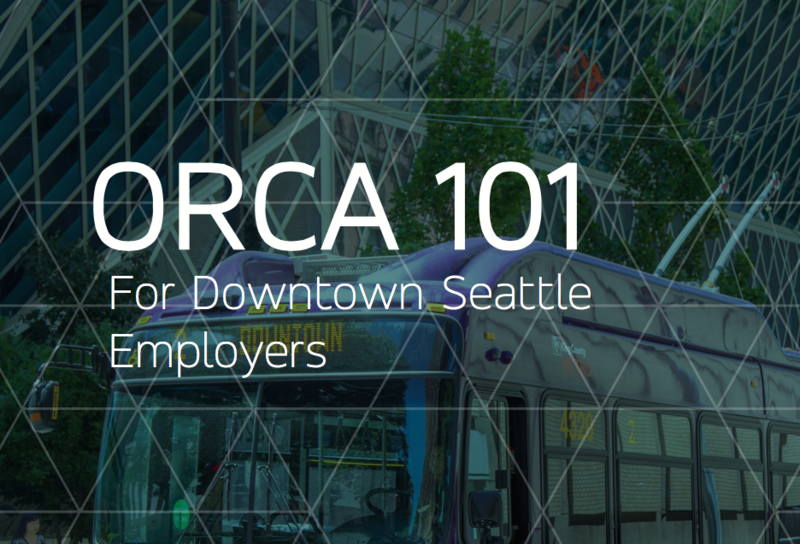 Get a quick overview of ORCA products and find out how Commute Seattle can help you pick the best employee benefits for your company. Orca Business Passport is a cost effective, comprehensive, annual transportation pass program only available to employers. With over 800 Seattle businesses participating, its never been easier to provide tax-free commuter benefits for your employees. Price changes again on March 1, 2017 so lock in your rates and start attracting the regions top talent today! 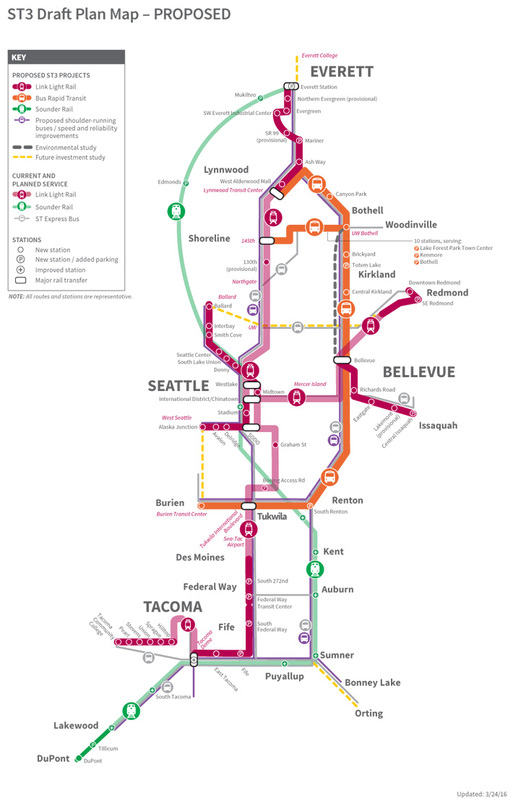 For more information and pricing, please contact Kendle Bjelland at 206.613.3242 or kendleb@commuteseattle.com. Join the Cascade Bicycle Club! They offer daily rides, exceptional events, advocacy and lobbying, and education for all riders of all ages and abilities. Their staff and 16,000 members envision Bicycling For All. The city has designated more than 100 parking spaces around Seattle for the exclusive use of motorcycles and scooters. Before you use a motorcycle or scooter, check to see if you need an endorsement. And don't forget your helmet, it's the law. This map shows on and off-street parking facilities and information with special focus on short-term parking in downtown and in neighborhood business districts, and eligibility for restricted parking zones. Learn how to park like a pro by knowing the rules. 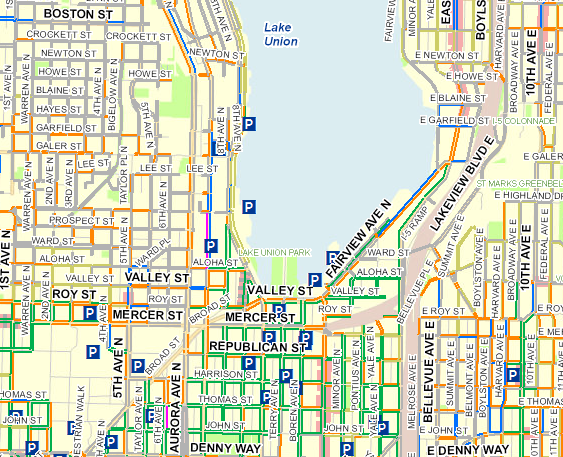 The City offers a Paid Parking Map that shows current on-street parking rates, hours of operation and maximum time-limits allowed for parking throughout Seattle's paid parking neighborhood. Tired of all those pesky parking stickers? Wish you could receive a text before your parking expires, or that you could add more time remotely? 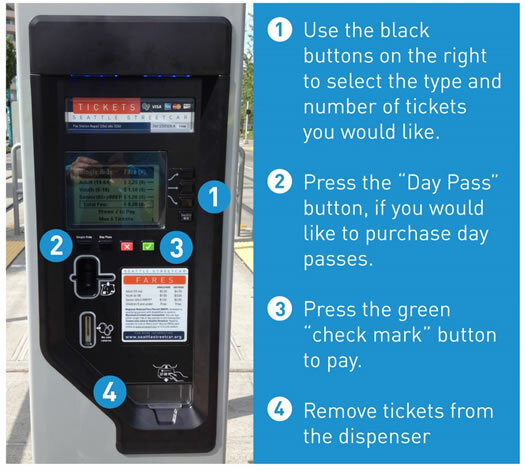 Pay by Phone provides all that and more -- from the comfort and safety of your own car. You can pay by phone on any block with a Pay by Phone sign. To get started call 1.888.515.7275 or download the free app.